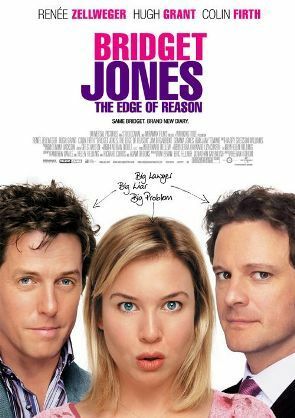 Bridget Jones: The Edge of Reason is a 2004 romantic comedy film directed by Beeban Kidron, based on Helen Fielding's novel of the same name. It stars Renée Zellweger as Bridget Jones, Colin Firth as Mark Darcy and Hugh Grant as Daniel Cleaver. It is the sequel to Bridget Jones's Diary. There are significant differences in the story lines between the novel and this film adaptation, and between the United States version and United Kingdom version of the film, including an alternate ending.